In the age of streaming entertainment, it can be hard to leave the couch. But movie theaters still offer a special experience for those willing to get out of the house. Want to see what's out there? Don't miss this week's lineup of acclaimed movies showing on the big screen in and around Newark. 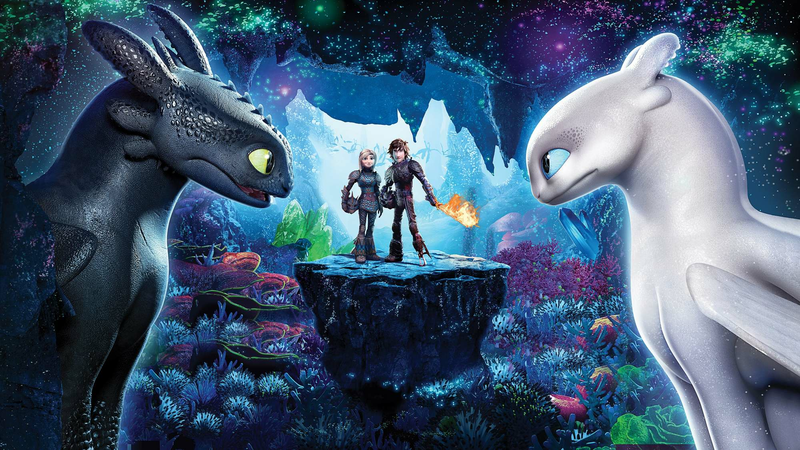 With a Tomatometer Score of 91 percent and an Audience Score of 89 percent on Rotten Tomatoes, "How to Train Your Dragon: The Hidden World" has become a favorite since its release on Feb. 22. The Atlantic's David Sims said, "So much of 'The Hidden World' is stuffed with filler material. But in certain wordless moments, this grand final entry really sings," while Johnny Oleksinski of the New York Post noted, "The movie could easily be called 'How To End Your Trilogy.'" Catch it on the big screen at CityPlex 12 Newark (360-394 Springfield Ave.) through Thursday, March 21. Click here for showtimes and tickets. With a Tomatometer Score of 67 percent and an Audience Score of 66 percent on Rotten Tomatoes, "Happy Death Day 2U" is well worth a watch. "Along the lines of other recent inexpensive genre efforts that behave more like franchise blockbusters by building out their lore and doubling down on their nerdiness," according to David Sims of The Atlantic, while Salon.com's Matthew Rozsa said, "It is instead that rarity -- a sequel that is both better than the original and manages to retroactively improve that movie." It's playing at CityPlex 12 Newark (360-394 Springfield Ave.) through Thursday, March 14. Click here for showtimes and tickets. With a Tomatometer Score of 60 percent and an Audience Score of 94 percent on Rotten Tomatoes, "Alita: Battle Angel" is well worth a watch. "It's goofy as hell and borderline inexcusable at times, but it's also kind of glorious," noted Sam Adams of Slate, while Tony Baker Comedy's Tony Baker said, "When the action would kick off you could really see the choreography. You could see the movements being executed, you could see what's being done ... Alita could really fight." It's screening at CityPlex 12 Newark (360-394 Springfield Ave.) through Thursday, Mar14. Click here for showtimes and tickets.